Lesbian YouTubers are abundant. It’s a great way to explore the LGBT community and provide supports and tips. With so many of them you can choose your favorites – we see silly videos and informative videos. Every once in a while however somebody sticks out to us and that’s who we are going to talk about today. Our woman crush is Ashley Mardell and her cute fiancée Grace (she’s recently become engaged). What we love about Ashley is not just the time and creativity she puts into videos. She also really appreciates her fiancé and it’s amazing to see a love like that. She’s always accepting and family oriented. One of her biggest accomplishment videos that we posted about was the compilation of coming out stories that she created. Rather than focus on entirely on unconditional acceptance she gave us a view on what can happen when you’re not. It’s not great when this happens, but it reminds us that it’s okay to stay in the closet if you’re in danger. 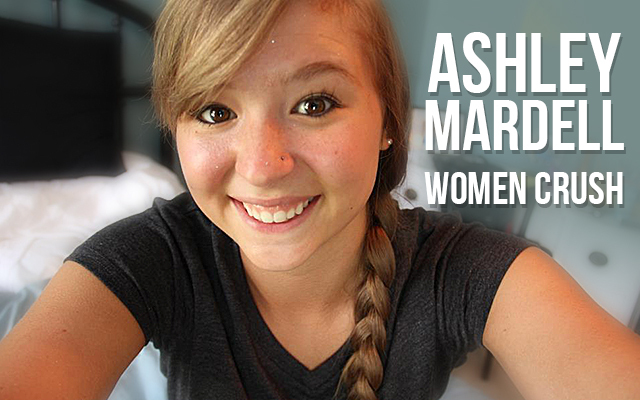 Ashley Mardell continues to prove to us that the world can be a positive place. She’s light hearted and funny but knows when to keep things on a serious level. Even before YouTube, she was always there for people and has been working endlessly in the LGBT community to help provide a safe environment and world. Linked below are two videos that really show of her ray of light, positive vibes. She makes a speech on how YouTube is a great platform for storytelling and it’s inspiring that she reaches out this way. It is an amazing way to visually share things that you need to say. In these stories she covers her relationship and meeting Grace. There’s so much love and creativity in it that your heart will be filled with the joy she is feeling. Shout out once again to our woman crush Ashley Mardell. This entry was posted in Women Crush and tagged Ashley Mardell, youtube, youtuber by Janey Grace. Bookmark the permalink.